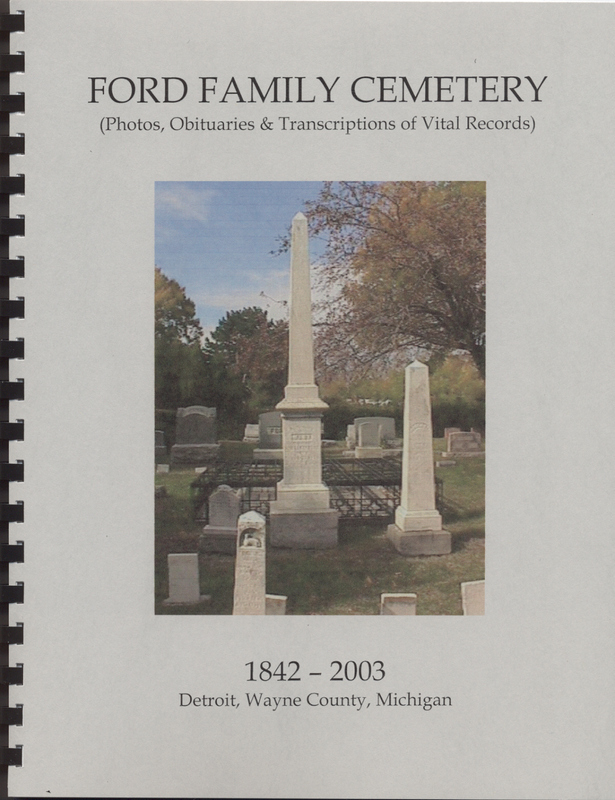 This Cemetery is where HENRY FORD, founder of the Ford Motor Company, and his wife are buried. The cemetery was read in October of 2001 and photos taken from that date through the spring of 2003. This is a comb-bined, soft cover book containing photos, obituaries, vital record extractions and more. A Relationship Chart designating the relationship between persons buried in this family cemetery, when known. Index telling where people buried in the cemetery can be found in the book. Pay by PayPal to Diane Oslund.